You may already know Magento extension JM Basetheme from most of our recent responsive Magento themes. JM Basetheme is to optimize the personalization of our Magento themes in term of layout and color. This extension rocks because it eliminates the time-consuming process of styling and encoding to create anything out-of-default. 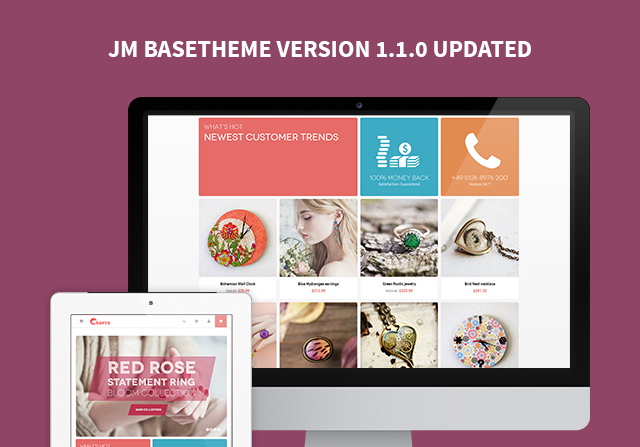 We have recently released JM Basetheme upgraded version 1.1.0 with back-end settings especially for mobile and tablet layouts. 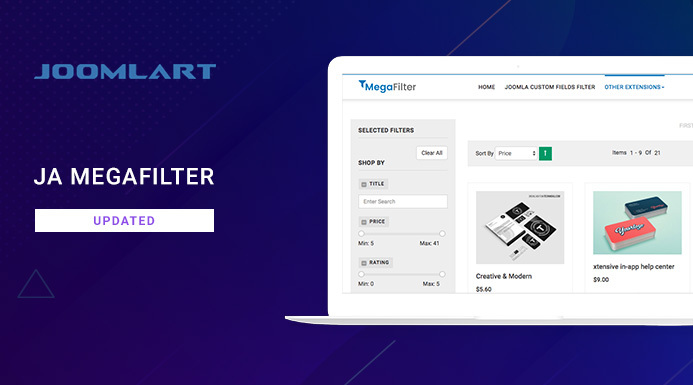 JM Product List is a handy Magento extension that allows you to label your product as Latest, Feature, Best Buy, Most Viewed, Most Reviewed or Top Rated. Also JM Product List supports in defining the number of products showing off in front-page. 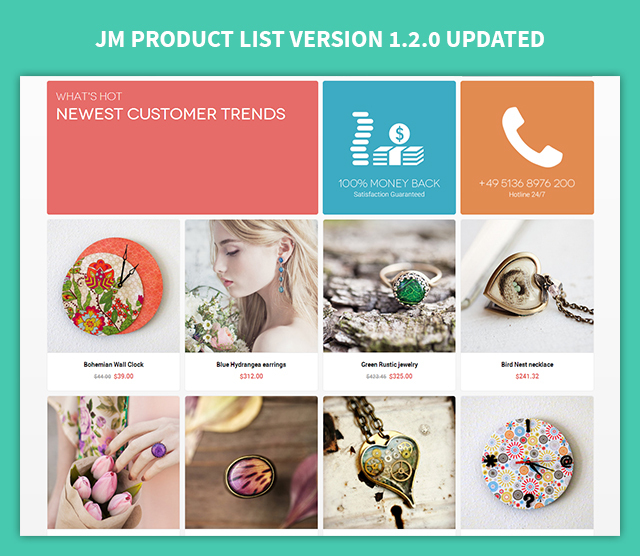 Magento extension JM Product List version 1.2.0 is now available! With features added, this version will help you to take care of how product list displaying on any mobile device more considerately.